Club Glove Last Bag Collegiate is a large capacity, collapsible, made in USA, golf travel cover with a premium look and feel. In the box, you will find a stiff arm, which is a metal telescoping club protector of three pieces that can be adjusted to be able to fit in all travel bags. You also get the TSA lock that you see in the photo. You can adjust it to a little longer than the longest club in the bag, so it helps protect the clubs and you won’t get any broken clubs. 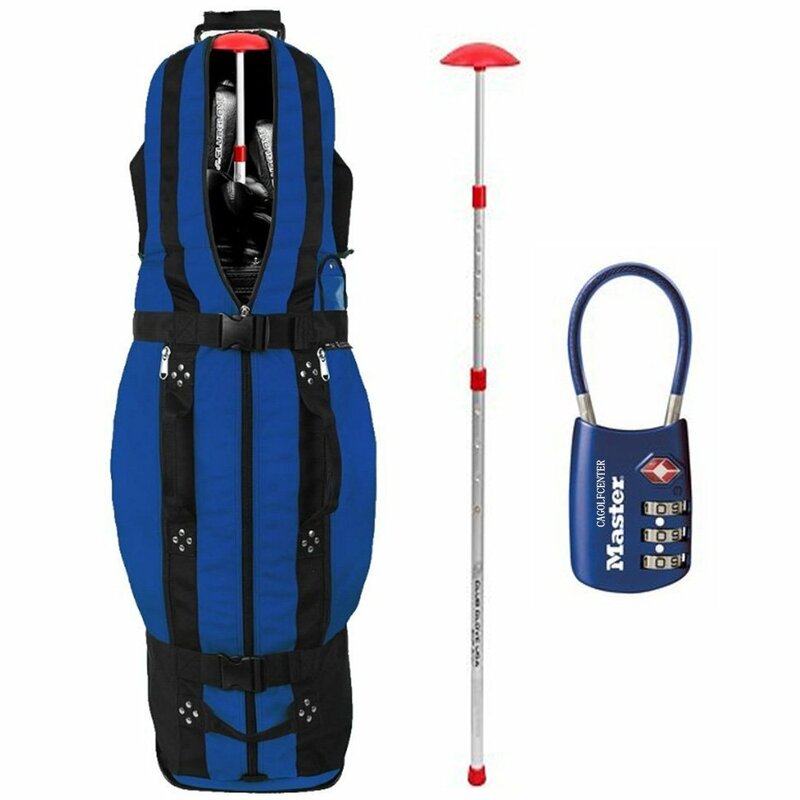 It can accommodate golf clubs up to 47 inches long, which means you can put in your large golf club as well as the gear and accessories. You’ll find the very thick foam padding inside for protecting your stuff and the Cordura material on the outside so it lasts much longer. InvistaTM Cordura 1000 D type nylon fabric is used in its construction, that is almost three times stronger than regular polyester and should last up to five times more. It has a one-piece burst proof construction that proves really solid and also water-resistant for when you’re moving it in the rain. You will also find two pockets for shoes, a new snap ID card holder and the solid and reliable ITW Nexus buckles and YKK zippers are used in its construction. You can load and unload your stuff easily, with the over the top zipper. As a very solid, sturdy, functional, spacious and nice looking travel cover, it is great for those golfers that travel a lot. You will also see a lot of pros using this on the LPGA, Champions and PGA tours, in fact, more than any other brand golf travel covers. It is currently used by more than eighty percent of PGA Tour golf players. It has a very high impact wheel base that cradles and protects the bottom section while ensuring the bag is transported smoothly on the inline skate. The built-in two-piece solid and sturdy handle will help you pull it through the parking areas and airport terminals on its dual wheels and also lift it easily. Club Glove Last Bag Collegiate weighs around 11 pounds including the pole. You can strap it to your other bags with wheels, so you can manage them better at the airport. It is offered in several different color options like black, royal, burgundy, blue steel, sun gold, red, purple, pink champagne, navy, mocha, khaki, green, clay, charcoal and more. It is not cheap but is great value for all that it offers- very good quality, solid and sturdy build, spacious interior, ease of use and more. 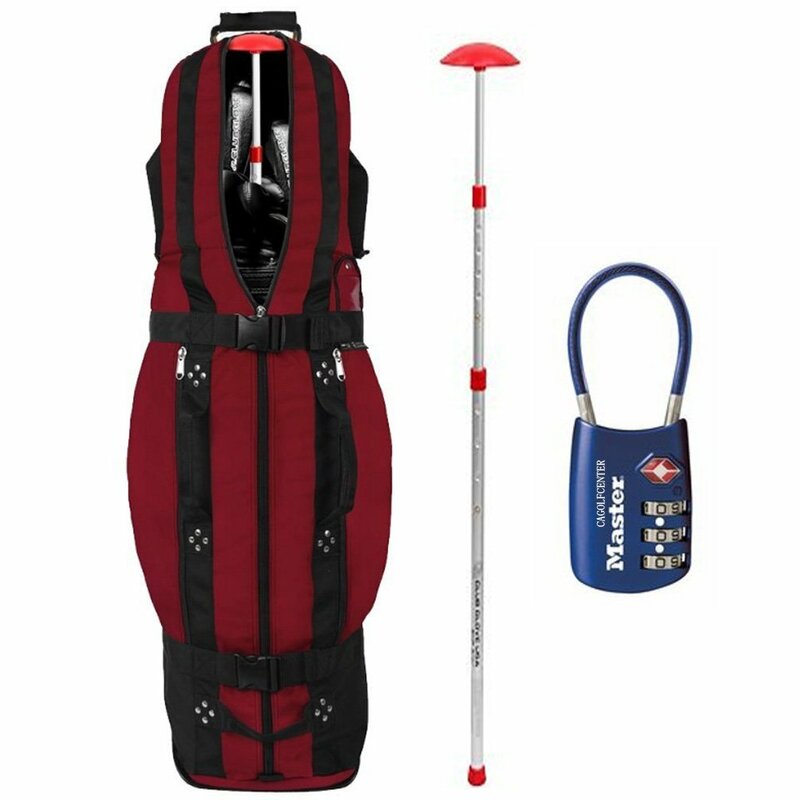 If you will be carrying larger golf bags and other stuff, you may want to go for the XL size through the links on this page.